Morning! What happened while you were dozing? Well, Abbott restarted his Civil War, Suicide Squad broke records and we’re winning at Rio. Say what? Papers gleaned from the desk of a Greens Senator clearly shows which environmental policy the Turnbull Government is set to cut, as JKL explains. When can we call Malcolm Turnbull “Dad”? As Tony Abbott carried on with his solution to the refugee problem, Lachlan Dale ponders on what to do with our new Abbott problem. Will political climate limit Turnbull’s climate change? With Malcolm Turnbull set to appear at the UN climate change summit, Lachlan Dale wonders what the Prime Minister can hope to achieve. Jordan King-Lacroix looks at the Turnbull Government and is troubled by one thing – the complete lack of a political scapegoat. Lachlan R Dale looks upon the new political landscape Turnbull has carved, and explains that for the Left, that outrage is no longer enough. With Tony Abbott gone, his decision to allow 12,000 Syrian refugees into the country remains; Rob Idol thinks congratulations are in order – for ourselves. Now that Tony Abbott has lost his position as Minister for Women, Bronte O’Brien (in between fits of hysterical wailing) is searching for Australian women’s next leading man. 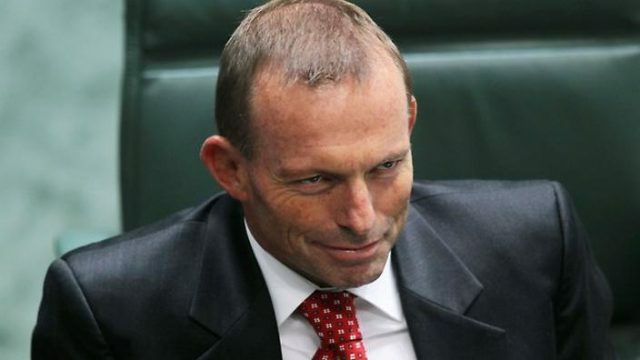 In the two-year anniversary of Tony Abbott taking office, TBS sees the true meaning behind his tenure – the rebirth of our nation.